"When Josie and her brother Fox discover the truth behind the legend of the Mothman, they must stop a disaster in order to break the curse that has been afflicting their town"-- Provided by publisher. 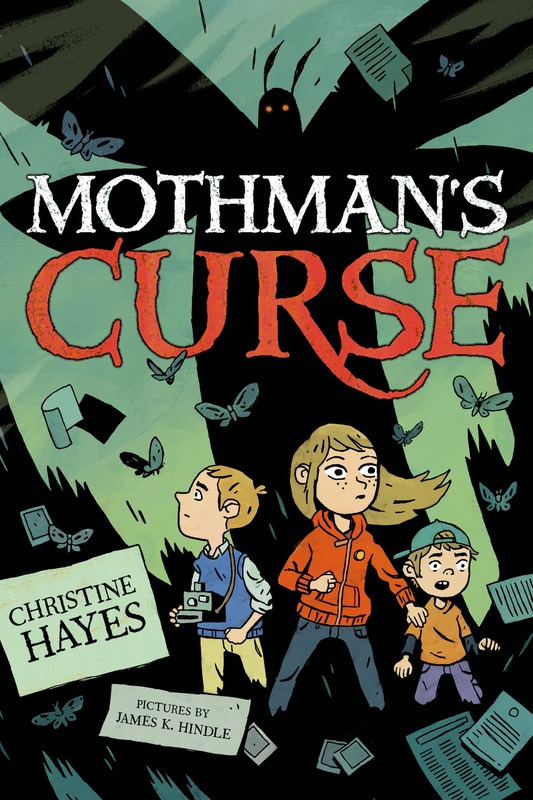 Mothman&apos;s curse / Christine Hayes ; pictures by James K. Hindle. $c Statement of responsibility Christine Hayes ; pictures by James K. Hindle. 650 Subj:Topic 0 $a Topical term Horror tales. 650 Subj:Topic 7 $a Topical term Blessing and cursing. 650 Subj:Topic 7 $a Topical term Brothers and sisters. 650 Subj:Topic 7 $a Topical term Families. 650 Subj:Topic 7 $a Topical term Horror tales. 650 Subj:Topic 7 $a Topical term Mothman. 650 Subj:Topic 7 $a Topical term Paranormal fiction. 650 Subj:Topic 7 $a Topical term Single-parent families. 651 Subj:Geog 7 $a Geographic name Ohio. 700 AE:PersName 1 $a Personal name Hindle, James K.